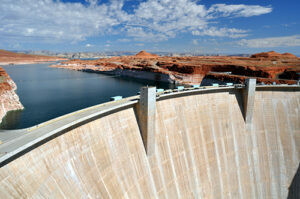 There are more than 90,000 dams in the United States, according to the American Society of Civil Engineers. So what are the biggest dams, and which one is the largest? That’s a simple question with a complicated answer. Do we mean the tallest? The longest? The one that generates the most electricity, or the one that holds back the most water? Here’s an answer to all four of those. These behemoths are wonders of human engineering, each of them with their own unique history. At just over 770 feet tall, the Oroville Dam was built in the 1960s by the California Department of Water Resources. The state built several dams in that period to water California’s rapidly expanding farm economy. The Oroville Dam diverts the Feather River into the California Aqueduct, creating a major water supply for the San Joaquin Valley. At the same time, it also offers flood protection to large parts of California. The dam prevented an estimated $1.3 billion worth of flood damage between 1987 and 1999. Additionally, this dam also powers the underground Edward Hyatt Pump-Generating Plant. This plant works alongside two off-stream reservoirs west of Oroville to form the Oroville-Thermalito Complex. Working together, the plants generate more than 2.8 billion kilowatt-hours of energy per year. The Oroville Dam made headlines in February 2017, when intense flooding eroded the dam’s main and emergency spillways. This erosion threatened the dam’s main wall, and could have become a serious danger to nearby residents. For safety’s sake, the State of California evacuated 188,000 people for nearly six weeks as crews raced to repair the damage. Long-term repairs for this and other high-capacity dams will be necessary in the coming decades. Though one of the biggest dams in length, the Cochiti Dam is one of the shortest in height. Surprisingly, it isn’t even on most lists of the largest dams, because of its height of only 251 feet. However, it is one of the 10 largest earthen dams in the United States, and for good reason. The Cochiti Dam stretches more than five miles across! It contains more than 65 million cubic feet of earth and rock and it is the eleventh largest earthfill dam in the world. Engineers designed the dam as a flood control mechanism, to limit the effects of heavy runoff on the surrounding area. It was authorized under the Flood Control Act of 1960, and construction lasted from 1965 to 1973. The resulting Cochiti Lake has a permanent recreation pool, with an intermittent pond in the arm of the Santa Fe River. The remaining capacity of the reservoir, about 672 million cubic meters, is reserved for flood and sediment control. Possibly the most famous dam in the United States, the Hoover Dam sits at the border between Arizona and Nevada. Its curved face stretches between the walls of the Black Canyon and holds back the Colorado River to form Lake Mead. At the time of its construction, the Hoover Dam was the largest concrete structure built. The dam stands 1,244 feet long, 726 feet high, and 660 feet thick at its base. Its construction required an incredible 3.25 million cubic yards of concrete. Just for perspective, that’s enough to pave a 16-foot-wide highway from San Francisco to New York City! From the very beginning, designers kept long-term strength in the forefront of their minds. They brought many innovative solutions to bear. These include the dam’s characteristic convex shape, and a nonreactive concrete aggregate that won’t deteriorate due to alkali-silica reaction over the years. As a result, the Hoover Dam easily withstands forces on a geologic scale. It needs to be, too. It holds back Lake Mead, the largest man-made reservoir in the United States by water capacity. 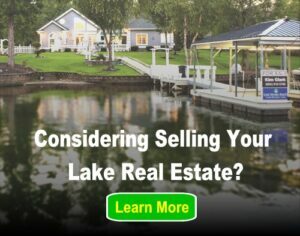 The lake is 112 miles long when full, and has 759 miles of shoreline, with a maximum depth of 532 feet. It provides water to nearly 20 million people in Arizona, California, and Nevada. For more information on the Hoover Dam, visit the National Park Service website. The Grand Coulee Dam is a gravity dam located on the Columbia River in Washington State. The U.S. Bureau of Reclamation designed the dam in the 1930s for the primary purposes of flood control and irrigation. Today, it works as the largest electric power-producing facility in the country. After a visit from President Franklin D. Roosevelt though, the federal government gave funding for a larger dam. Incredibly, the engineers successfully transitioned to a 590 foot “high dam” design during construction! Of course, the dam’s power plant has been upgraded several times over the years. First, with the onset of World War II, when power generation became a national priority. Then, in the postwar housing and economic boom. Most recently, in 1973, the government added a third power plant to the dam, with six generating units. Today, Grand Coulee Dam supports four different power houses containing 33 hydroelectric generators. They generate, on average, 21 billion kilowatt-hours (KWh) per year. That’s enough to power 2.3 million households for a year! For more on America’s dams, take a look at our article about the history of dams and man-made lakes.